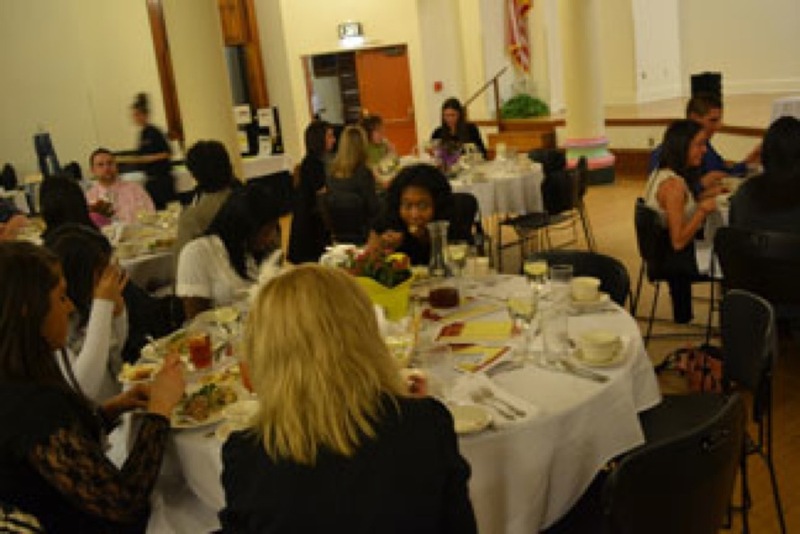 Seton Hill University’s (SHU’s) SIFE (Students in Free Enterprise) club, along with Career Works, organized an etiquette dinner held on March 3 in Cecilian Hall. This special event was held for businesses and students. Speaker Darren Achtzehn, Director of Food Services, taught each person how to properly behave at a business dinner. Later that evening, SIFE members helped a fashion show to present business attire from Lapel’s and The Limited. Jon Gibson, SIFE member and a senior at SHU, led the fashion show. SHU students performed and modeled for the fashion show, displaying business and casual-business attire. In honor of the Lenten season, two Coffee Talk discussions will occur. The first, on March 22, will discuss peacemaking on a global and local scale, and the importance of the Vatacan II document Nostra Aetate. The Holocaust Center, Campus Ministry and the Mission Effectiveness Committee are sponsoring the event located in the Greensburg room at 8:00 p.m. On April 5, the second will be held in the Griffin’s Lounge at 8:00 p.m. and discuss Lent’s scope beyond Catholicism.